Kathmandu, There is no alternative to unite for the rights of labour, GEFONT President Cde. 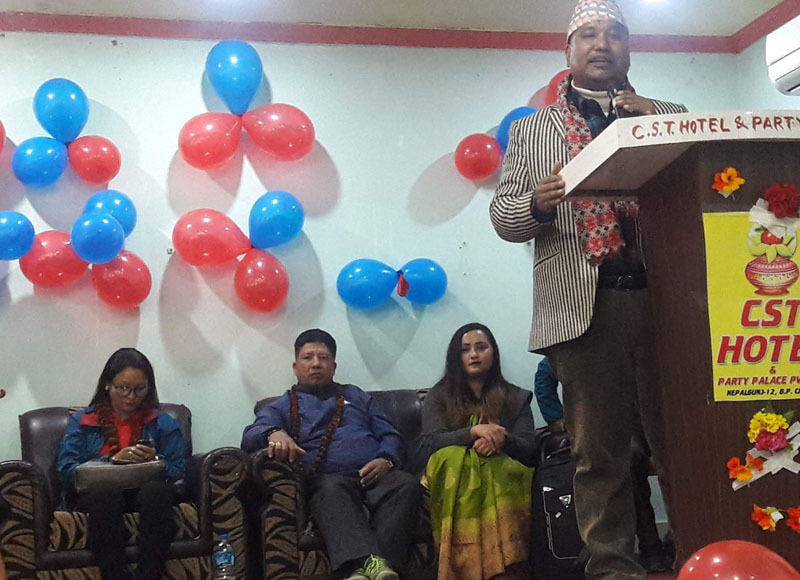 Binod Shrestha Said during the higher ranking leaders gathering in Nepalgunj on 6th February. On the occasion President Shrestha further highlighted, as the result of the long struggle we are enjoying our rights today. The achievements need to be preserved & to institutionalize it there is a need for integrated trade union movement. President Shrstha further said that the future of the trade union movement depend on youth so youth have to well understand the development of the Trade union movement to lead the movement in future. He further emphasized, 10 percent worker representation in every elected body of the state & to raise the class identity, workers representation should ensured. In the program, GEFONT Vice President & in charge of the Province No 5 Cde. Kamal Gautam said ‘Trade Union should focus for the effective implementation of the Contributory Social Security scheme. He further informed about minimum wages & Contributory Social Security Scheme.